What do you think of this Spider and Insect Catcher? Don't be afraid of spiders and insects anymore. My Critter Catcher gives you the power to safely and easily remove spiders, and other household pests, such as: Spiders, Roaches, Scorpions, Flies, Crickets, Stink Bugs, Millipedes, Centipedes, Wasps, Yellow Jackets, Bees, Moths and more. Plus, the critter's are unharmed while you bring them back to nature, where they belong. No more spraying harmful chemicals in your home, around your children and pets. 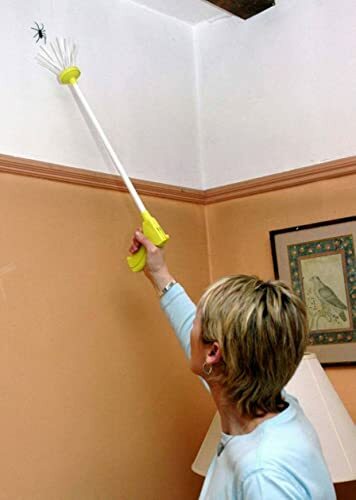 No more swatting and cleaning bug spots off the wall. My Critter Catcher is your safe, and environmentally friendly solution.